Teresa Madaleno’s chronicles of female friendships are so compelling that parts will, no doubt, resonate within our own lives. The breadth and depth of each pair of friend’s life tribulations are measured in equal amounts by the unbelievable amount of love and humanity they offer each other in support and truly astonishing acts of selflessness! What a shining example of Girl Power. These stories will radiate off the pages and into your heart! The essence of Girl Power comes through loud and clear in each touching friendship that the author introduces. 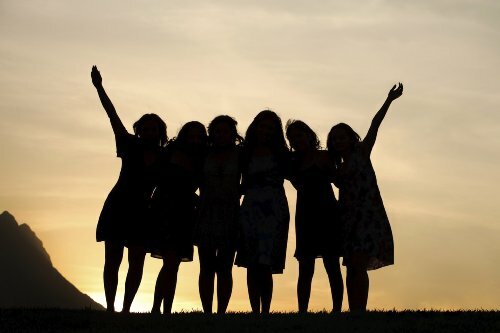 The patience and endurance of ordinary women are tested and sometimes friendships are tested too, but we discover in the long run than taking the time to invest in friends is well worth it. As you follow the women in these chronicles through their trials and triumphs, you can’t help but think of your own friends; the ones who have been in your life every-step-of-the-way and the ones you wished you worked harder to keep by your side. At times you are led to believe that these women are all alone; abandoned to deal aimlessly with life’s cruel hurdles then suddenly that special friend comes to the rescue, reminding us that true friends do exist. In a colourful and narrative fashion, the author teaches us that friends really can be a true inspiration to each other. Joanne Sprung – Media Programming Specialist: CTV Television, Global Television, and Telelatino Network. The theme of woman as an enabler is a familiar one within the context of family, but the author travels farther afield in her exploration of women and their relationships with other women-friends, not family. Through describing critical events in the lives of seven dyads of women within the context of crises, and underscores the concept of strong female friendships in each story. The narratives capture the readers’ interest and the stories demand the turning of pages. They flow as a river of words. 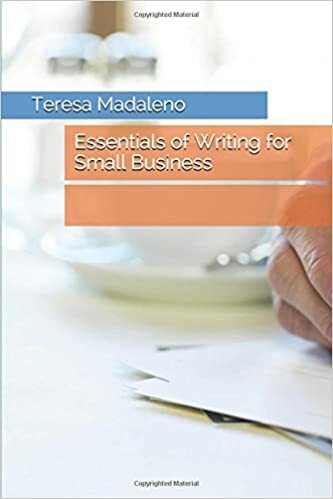 Purchase Essentials of Writing for Small Business on Amazon.com today. It has been a long time coming, Essentials of Writing for Small Business is published. This is a guide for anyone who wants to take on the task of writing their own news releases, proposals, case studies etc., as opposed to hiring a professional writer. Below is an excerpt from the introduction of the book. ‘ Many people may feel that writing is a task that only English majors can perfect but the truth is that you can improve your writing skills with simple adjustments, and we all need to communicate effectively in the business world. Research shows that people with good writing skills are viewed as more credible and therefore meet with much more success. When you think about it, this makes sense. When we are in school, good writers tend to get high grades. In business, people seem to equate good writing with competence. At work, when you receive a document or email from a colleague that is riddled with grammatical errors and/or typos, do you not think he/she is lazy or less capable? Be honest about how you answer this question. Now, if your career is important to you then consider this: Many of the world’s best CEO’s have advanced creative writing skills. These are skills that they use every day to win people over. Do you want to win people over? If you do, then you need to write in a concise manner and in a thoughtful manner. The structure is also important when writing, whether it is a newsletter, proposal, or any other type of written document.